Efforts to prevent truck collision often center around controlling the behavior of truck drivers. The Federal Motor Carrier Safety Administration (FMCSA) has imposed numerous requirements for licensing of truckers and has imposed strict limitations on the amount of time truckers can drive per week. While preventing drivers from unsafe actions is very important, drive behavior is not the only cause of truck collisions. Inadequate truck maintenance and unsafe vehicles are also a major problem within the United States. The FMCSA does have requirements in place to ensure trucks are roadworthy, but it is difficult to enforce these regulations and a huge number of big rigs on the road are not actually safe to drive. When a truck crash occurs because of problems with the vehicle, an Atlanta personal injury lawyer can help victims or their family members to take appropriate legal action. Recently, the Post Gazette reported on the extent of the problems with truck maintenance in the United States. Around 14,000 people have lost their lives in crashes involving big-rigs and tractor trailers since 2009, and almost a 25 percent of those deaths involve trucks that had received previous citations for safety violations. 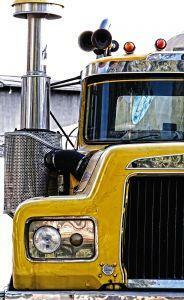 From 2009 to 2013, a total of around 390,000 collisions occurred involving big rigs. Far too many of these accidents occurred because of problems with brakes, tires with low tread; broken headlights; malfunctioning signals and other vehicle maintenance problems. Violations of local laws, which accounted for 1,834,850 citations. Signals and headlights that do not meet requirements, which accounted for 1,466,874 citations. Broken headlights and signals, which accounted for 1,381,950 citations. Broken parts, which accounted for 1,152,071 citations. Tires that had low tread, which accounted for 1,138,237 citations. There are lots of reasons why trucks are not living up to safety rules. One issue is that there is inconsistent enforcement across different states. Since a large number of trucks travel across multiple state borders, the drivers may not be aware of or in compliance with all regulations. Some safety advocates suggest that a single enforcement system would help solve this. The federal government has launched a new safety scoring system called Compliance, Safety, Accountability, that has helped to draw attention to the issue of truck safety violations. However,there are currently no plans for a large-scale enforcement effort to ensure that al trucks follow safety rules. Ultimately, truck drivers and trucking companies need to take responsibility for making sure that the vehicles they take on the roads are safe. If they fail in this duty, the trucking company and driver can be held legally responsible when accidents occur. The Atlanta personal injury lawyers at Van Sant Law, LLC have extensive experience in truck accident cases. Call today to schedule your free case evaluation if you believe you or a loved one is a victim of an Atlanta truck collision.